The exercises in this activity will help you generate initial insights into the nature of the problem from the perspective of the user. Gaining user-based insights around needs, expectations, preferences, and/or experiences is critical to ensuring a user-centred approach. In this activity, field research and/or interviews are not required. The goal is to think about the perspectives of key stakeholders so that you can identify what you know, and what you don’t know about their particular needs, aspirations and experiences. Wherever possible try to ensure that problem holders can articulate their perspective directly. If not, draw on insights you have from reviewing programme feedback, and monitoring, evaluation and research reports. Make sure you prep all participants to avoid negative stereotypes and ensure that they respect the dignity of all groups that may be discussed and profiled in workshop activities. Nesta’s DIY Toolkit provides an excellent activity and template for better understanding and defining those who you intend to reach with potential solutions. When carrying out this exercise, be aware of any biases participants might have about the target group, and ensure that you also consider the impact on other groups that might be affected by the problem. For example, if you consider urban refugees to be your target group, you should also consider impacts on members of the host community. 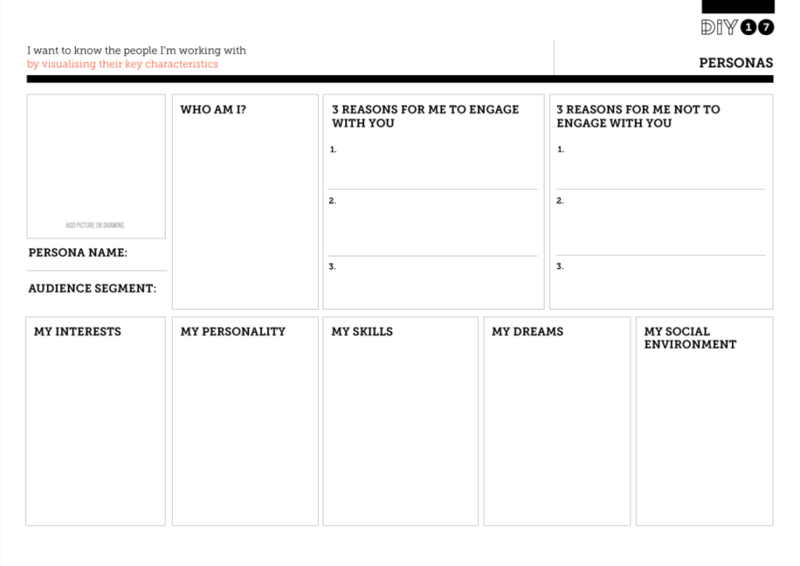 Nesta’s DIY Toolkit also provides a Personas template to help visually represent key characteristics of the particular groups you intend to reach. 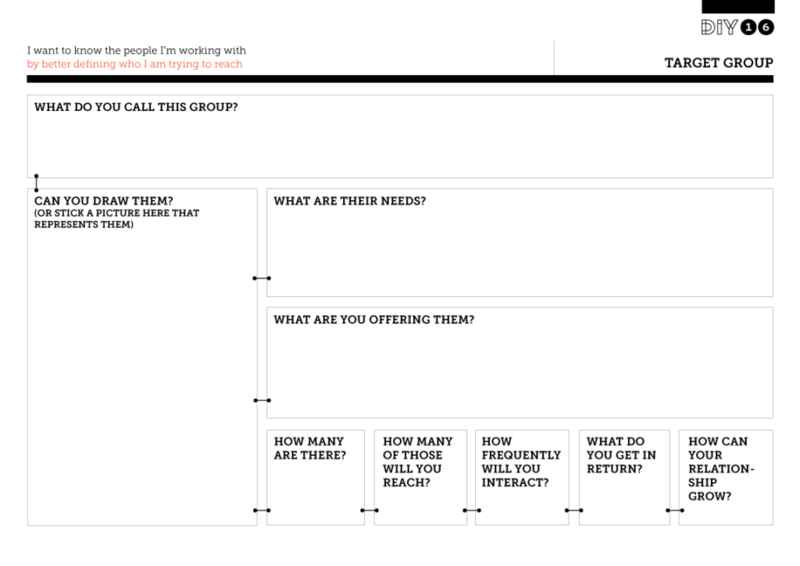 Download and print out the template (as large as possible) and ideally work in a group to ensure a range of perspectives can feed into the overall picture. This exercise will enable you to explore these ‘jobs’ from the perspective of the user. It will help to deliver initial insights into the ‘job to be done’ (the problem) at more than just the superficial level of the immediate ‘functional’ job. 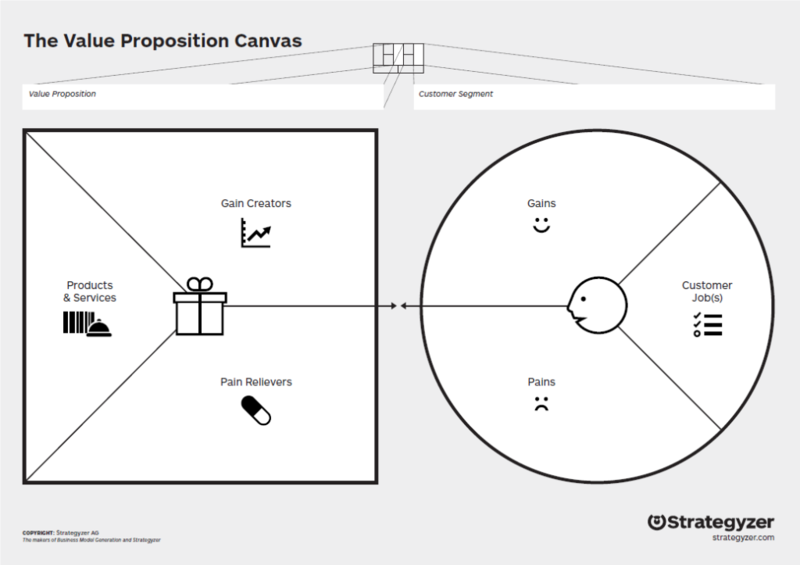 Download the Value Proposition Canvas and focus on completing the ‘customer segment’ for this task. Be careful not to think about any proposed ‘solution’ to jobs to be done.